This salad recipe is from a beautiful book on Armenian cuisine: “The Armenian Table” by Victoria Jenanyan Wise. 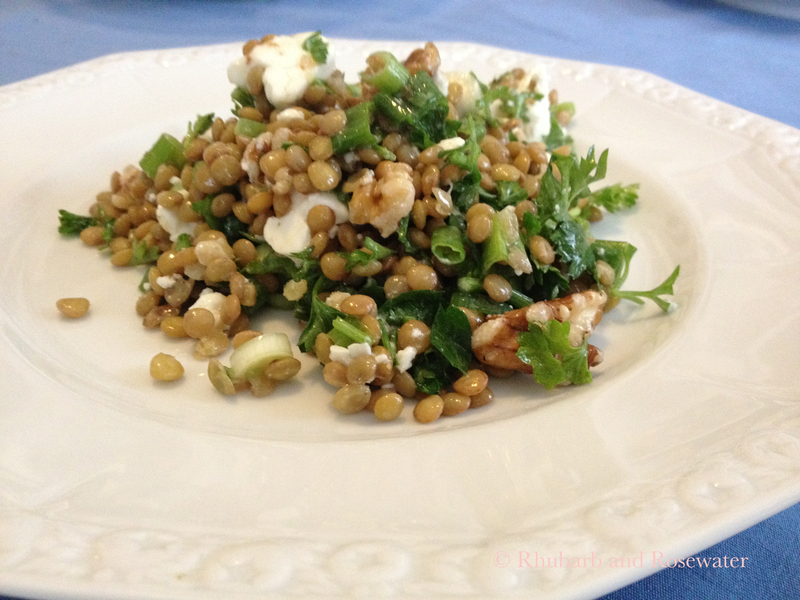 The lentil salad is a quick and healthy option for dinner. 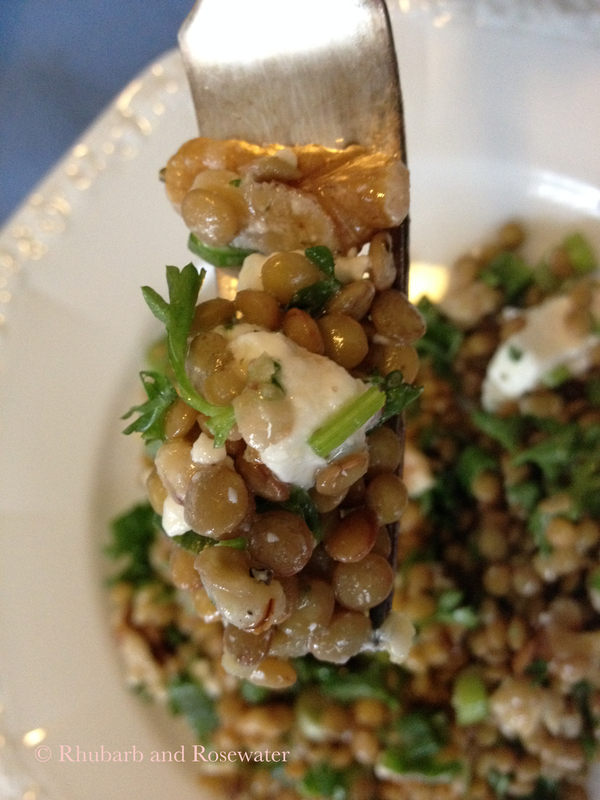 The books suggests serving the salad with cold lentils, but you could also serve it as a warm salad (my husband liked the warm version better actually). Here in Cambridge there are many Armenian stores and we often buy cooking ingredients there. However, we have not found a nice Armenian restaurant yet. Which is a shame as Armenian food is delicious! Here comes my slightly adapted version of the recipe. 1.) Place lentils in a large pot, add water to cover by 1 1/2 inches, and bring to a boil over high heat. Decrease the heat to medium-high and cook until al dente, about 17 minutes. 2.) 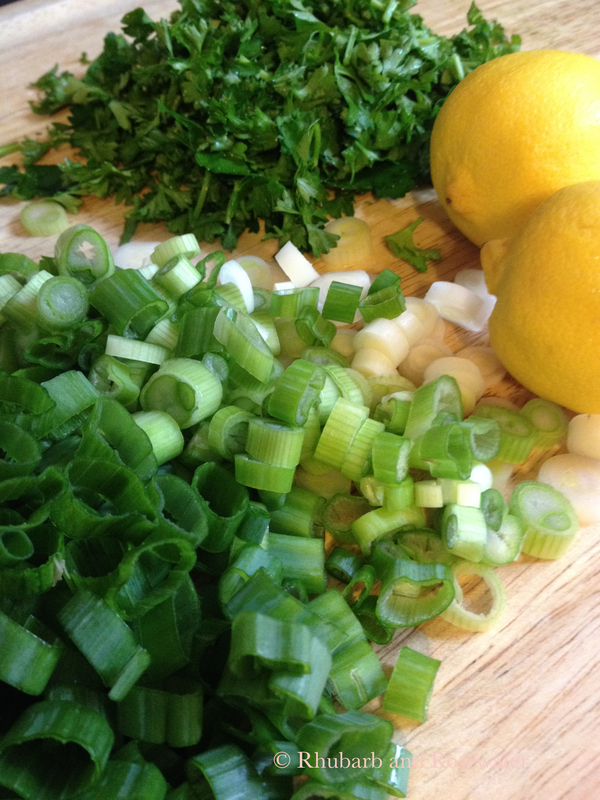 Meanwhile chop scallions and parsley. Juice lemons. Roast chopped or half walnuts briefly in a pan. 3.) Drain lentils in a colander. If you prefer the salad warm put them directly in a big serving bowl. 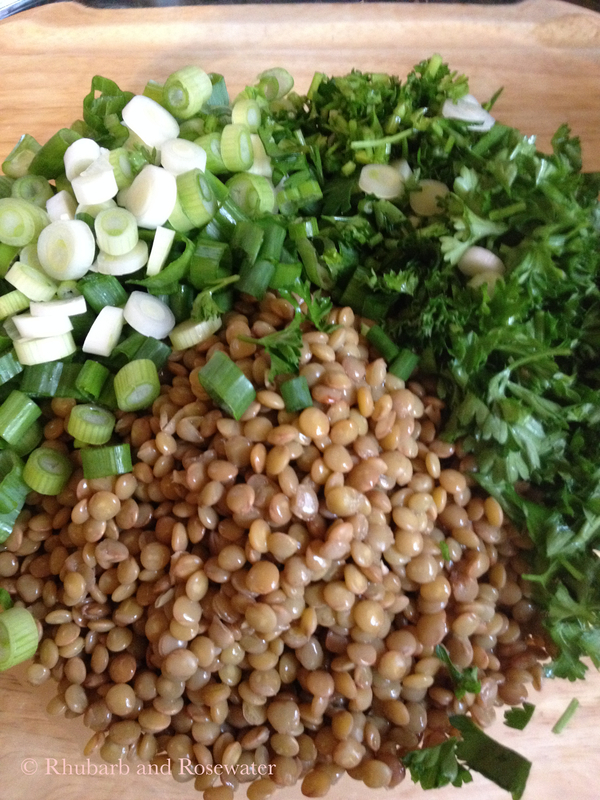 If you prefer a cold salad, cool the lentils under cold running water and set aside to drip dry for ten minutes. 4.) 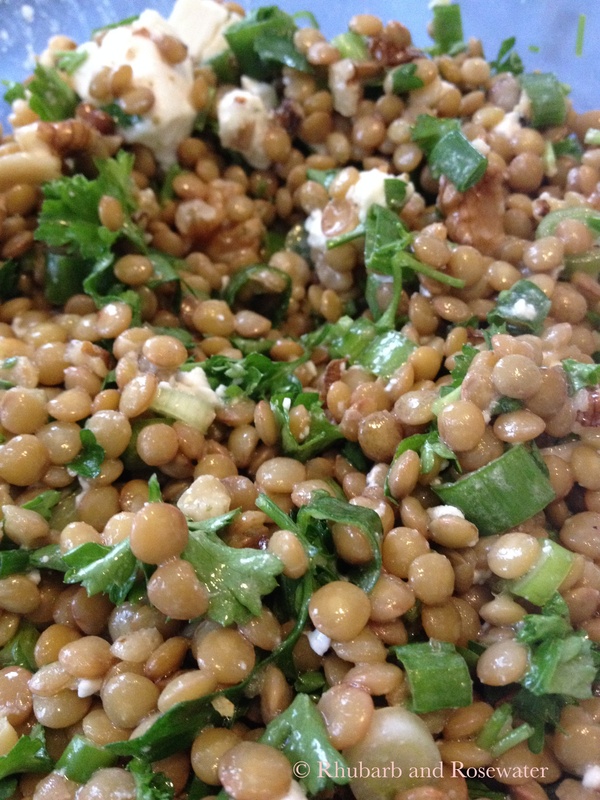 Place lentils, parsley, scallions, and walnuts in a big serving bowl. Add walnut oil and lemon juice. Season with salt and pepper. Mix all ingredients. Crumble the feta on top and stir in carefully.